DC comic titles employ the concept of a multiverse, which is a fictional intergalactic construct assembling the various universes where the stories take place (click here to read more on the various Earths of the DC multiverse). One recent and popular example is the second season of the hit television series, The Flash, which has recently featured The Flash of Earth 2. 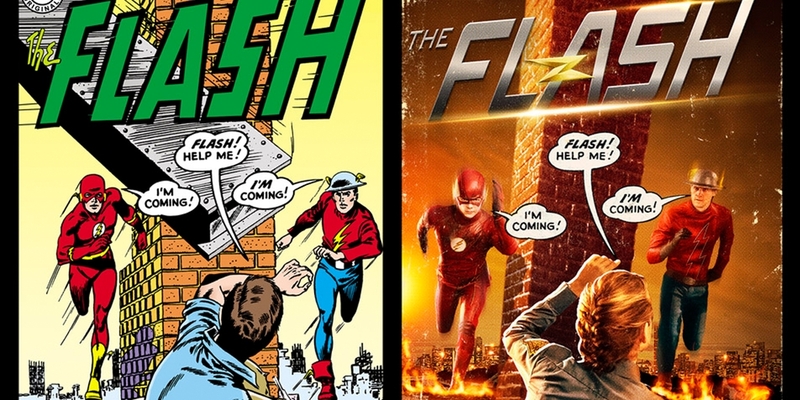 The comic book cover where the multiverse was first introduced and the television series paying homage. My favorite DC title taking place on one of the alternate Earths is Earth 2. I have long been a fan of the multiverse concept and it was one of the reasons why I purchased a copy of Superman: Earth One (Volume 1) at the 2015 New York City Comic Con. Earth One presents Superman in a familiar way: rocketed from the doomed planet of Krypton as an infant, landing on earth to be found and raised by Jonathan and Martha Kent. What distinguishes Earth One is how wonderfully grounded it is: we see Superman congruently come to terms with his humanity and Kryptonian nature while trying to save the world from an alien invasion. If this plot seems familiar it is because the 2013 film, Man of Steel, was clearly influenced by this book (published in 2010). What makes Earth One better than Man of Steel are the never-before-seen invading aliens, whose origins were a complete surprise! Bravo to J. Michael Staczynski for brilliantly adding to the already rich Kryptonian mythology. After reading Earth One, I have to again ask: Why do Kryptonians look exactly like Earthlings? Artist Shane Davis does an outstanding job depicting the well-known characters, Metropolis, the new aliens and all of the science fiction elements of the story. The artwork combines a modern sensibility with a classic color palette. DC has published two more volumes of Superman: Earth One and has, to date, published two volumes of Batman: Earth One with Wonder Woman: Earth One on the horizon in 2016. If these titles are as good as Superman: Earth One I am going be enjoying some more great comic book reading in the near future. 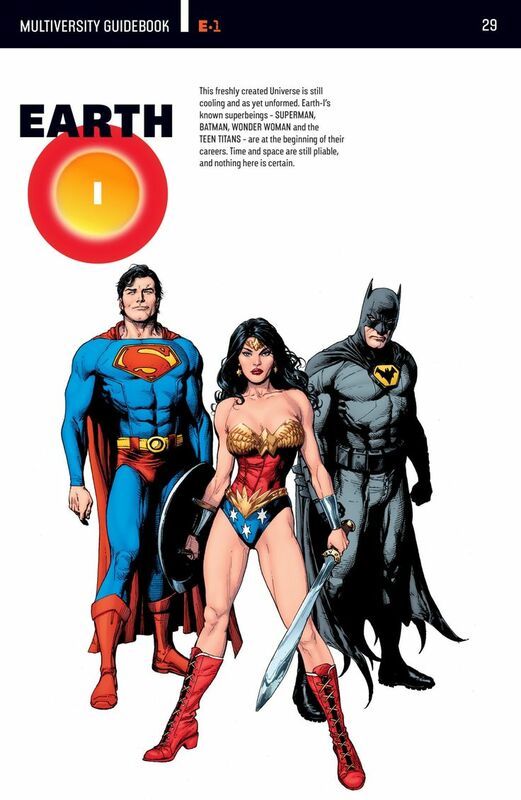 The Earth One versions of Superman, Batman and Wonder Woman.